My have things have CHANGED! He uses Twitter and Facebook…..
Press Secretary has learned to use Twitter…..
And the White House has interactive websites….. But is the message reaching everyone? Phillips oversees a staff of seven, the largest new media team a White House has ever had. His position as director was boosted from a mid-level staff position under George W. Bush to a special presidential assistant under Obama. “The ultimate goal is to make sure the American public has more information about their government,” he said in an interview. But Rosenstiel, for one, questions the benefits of Obama’s use of social media. To be fair, Obama has hardly abandoned traditional media outlets. During his first year in office, he did 91 television interviews, according to Towson professor Martha Joynt Kumar. To compare, George W. Bush did 20 and Bill Clinton did 16. Kumar has studied the president and the press for more than 30 years. Her conclusion? No matter how many outlets Obama uses or how often, if the message itself isn’t clear, it doesn’t matter. Note…..I’m sure every foreign intelligence service in Washington reads his Blackberry mail in real time…..
From the people over at wired.com…..
You’re craving a smartphone. But maybe you, I don’t know, want to send multimedia messages, not just 160-character texts. Or tether it to your notebook for wireless internet access. Or use it for more than a few hours before the battery goes dead. You know what phone you don’t want. 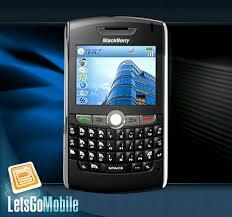 Instead, consider the new Blackberry Tour from Verizon. Its e-mail and social-networking features are ideal for constant communicators, though its web browser and voice calling leave something to be desired. Designated as a the successor to the very capable Curve, the handset features a sharp 2.4-inch screen that displays pictures in beautiful clarity, plus a 3.2 megapixel camera. The full QWERTY keyboard looks prohibitively small, but is surprisingly easy to use. Even the signature trackball made it simple to scroll through websites, e-mails and menus. Taking the browser for a spin, we found web pages loaded pretty quickly but in impossibly small type. You can zoom in on the text but the display then forces you to scroll left to right repeatedly to read each line. We opted for squinting. Setting up the phone is a breeze. We had Gmail messages pushed to the device, along with text messages, IMs and MMS within a few minutes. We set up accounts on the pre-loaded Flickr, Facebook and MySpace quickly, and downloading new apps (there are more than 2,000 applications available) was even easier. Between downloading a slew of apps and compulsively checking various communication outlets, we were dangerously low on battery by the day’s end (not dead mind you.) In normal, less frenetic use, the battery lasted about 12 hours before going kaput. Somewhere during the third day of testing we actually made a flurry of calls with the phone. Quality was slightly lackluster: Friends and family consistently complained about frequent static and popping on the other end. But the Tour is still a solid upgrade from the Curve. Its got a slightly brighter screen, a slightly upgraded operating system (OS v4.7 versus OSv4.6), and a faster processor than the Curve (a 528-MHz processor versus 512-MHz). But all of these little things add up to big payoff. If you’re looking for a subtle upgrades for your smartphone you might want to take a Tour. WIRED Superb multimedia playback on music, video and pics. Extremely bright and colorful screen was still easy to see in direct sunlight. RIM makes it dead simple to hook up the phone to receive your e-mail, Twitter and Facebook updates. TIRED Call quality is sub-par. Some screen lag when we started using the phone, but it eventually stopped. Teeny tiny browser fonts gave us migraines. Note:……Sorry I don’t text…..Really…I don’t…just the computer keyboard…that’s it…..
Where you one of the Blackberry junkie’s that lost your fix for eight hours last night?……second time, huh? He, he, he……I have a regular cell phone…..I don’t have the habit………..